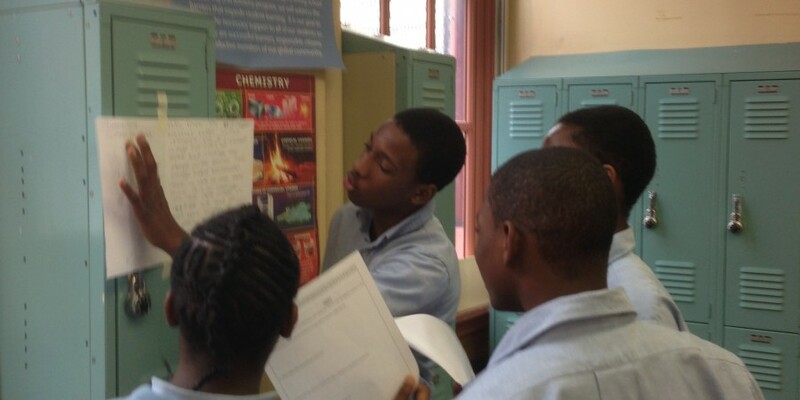 Students were given a chance to proudly present and defend their work with their peers. As fellow students circled around the classroom they presented on which intersections in their neighborhood were dangerous, and how the physics concepts we learned about in class were evidence of this danger. Pride and student curiosity gleam in this picture.